HEALTH INSURANCE IN SPAIN IS CHEAPER THAN MOST PEOPLE THINK! Private Health Insurance cover in Spain. www.insuranceinspain.com recommends that ALL expats living in Spain should take out private health insurance or have some form of Private Healthcare in Spain as the laws regarding covering Expats for Medical on the local NHS system is often fraught with a variety of issues. This relatively inexpensive medical and health insurance in Spain provided by ASSSA health Insurance will give you total peace of mind knowing that you can seek immediate medical assistance without the worry of being turned away when you need it most. A variety of relatively cheap medical and health insurance cover in Spain is available and as these are suited to the individual it is probably best to contact us directly. Cover for pre-existing conditions can be covered in some circumstances and healthcare insurance in Spain is available for most age groups. The premiums are pretty reasonable when you take into account the healthcare costs charged in other countries in Europe. Private medical and or healthcare insurance in Spain is popular as it can give you the option to be seen quickly and depending upon the Medical Insurance Plan that you opt for, can permit you to select and use the doctors of your choice. Most Healthcare and private medical insurance in Spain is based on your age. Some companies increase premiums with age and others fix the premium and it never goes up. It is important to know by how much these premiums and costs of healthcare in Spain increase each year so that you can make your decision based on the long term costs involved. Obviously the younger you are when you start a healthcare plan the cheaper it is going to be in the long run. If you don´t have a medical or healthcare insurance plan, you should seriously consider the benefits now. With the influx of many Europeans into Spain to utilise the superb hospital network and medical facilities, the premiums are sure to rise in the future. An Expat guide to health insurance in Spain. Our healthcare guide for Expats living in Spain covers basic healthcare in Spain, health plans, including private medical and healthcare plans, the healthcare system in Spain, Health and travel advice, the EHIC health card, Public healthcare in Spain, worldwide health insurance plans, healthcare for retirees in Spain and some of the issues that may be related to obtaining it. The costs of private medical healthcare and what you can expect to receive and healthcare information on some of the better medical covers available. The costs of health insurance in Spain. Being safe in the knowledge that you are properly protected and safe is a priority if you are planning on living in Spain. The cost of health or private medical insurance plans in Spain will depend upon your age and on any current medical conditions that may apply, if any. As most healthcare and medical plans are based on age, it is imperative to try and start your policy as soon as possible to take advantage of the discounts available to you. Health Insurance entitlements in Spain for Expats. If you want to be covered for some healthcare or medical insurance whilst you first arrive in Spain, then we would initially recommend you a travel insurance or obtain your EHIC card. All citizens of the European Union who are or may be entitled to the social security system in their home country, may be entitled to an EHIC Card, which is called the European Health Insurance Card before leaving to travel to Spain. Only publicly funded treatments will be covered by the EHIC card system in Europe. If you require any other type of medical or healthcare treatment in Spain, you will need to seek private medical Insurance in Spain or pay for the treatment yourself. For those travelling to Spain that are not in the European Union and are seeking medical and health cover, it is advisable that you check which countries have reciprocal arrangements with other European and non- European countries BEFORE you leave. If there are agreements in place then obtaining the necessary documentation from your home country to cover your healthcare in Spain is relatively straight forward. Using European and International Travel Insurance as Health insurance cover in Spain. If you are just on a relatively short trip then most good European and International Travel insurance policies will cover you for most medical or healthcare emergencies, but it is wise, as always, to read the policy documentation. In particular, look for the section that will repatriate you in the event of a medical emergency so that you can be treated at home. It is important to check that you are also covered for repatriation of your body in the event of your death in a foriegn country. Student medical and health insurance care requirements in Spain. If you are an international student travelling to Spain for educational purposes, you will need proof of Insurance healthcare cover to the tune of about 30,000€. They will check and certain criteria must be met on your health insurance policy. Don`t bother buying the cheapest health insurance policy as it is unlikely to be accepted. The authorities will check the documentation before allowing you into Spain. The health insurance policy must ultimately cover the whole period of your stay, and be valid for all European Schengen states (the 26 European countries that have agreed to the Schengen agreement that allows passage from one state to the next without the need for a passport or border controls). The health insurance cover for Spain must include repatriation for any medical reason, emergency medical treatment and/or death during your stay. Private health and Medical insurance companies in Spain. There are many companies in Spain that provide a variety of Health Insurance products to suit you and your health requirements. They don’t all cover everything, so it is important to discuss your medical and health insurance requirements properly. With the right advice and the correct policy, www.insuranceinspain.com can ensure that you are protected properly. If you wish to do some other research for yourself, we have provided a list of health and Medical insurance companies at the bottom of this page. Most are in Spanish and some have translations on their websites. With all medical and healthcare insurance it is always wise to seek professional help and www.insuranceinspain.com are happy to offer advice if you need it, completely free of charge, just call 965275727 from 9 am to 5 pm Mondays to fridays. Comparing health and private medical insurance in Spain. There are a large number of Spanish and International Health Insurance Companies in Spain. Many of the policies are only available in Spanish and care must be taken to get correct and proper advice. At www.insuranceinspain.com our team of experts will help you select the right Health Insurance policy or product for you and your family to cover your needs. There are the usual health comparison sites and guides that will give you information and prices on healthcare plans. Be careful when selecting these as many are sold with basic cover to provide a cheaper premium. Check the cover! The best Health and private medical insurance policies in English. With the increase in the Expat residential sector in Spain, many of the better Healthcare providers have developed policies in English, with English speaking doctors and will allow you to use a variety of doctors of your choice. If you already have an existing doctor that you wish to use, it is wise to check that the doctor is listed in their list of approved clinics and physicians. Beware of the lowest and cheapest quotes- it’s low and cheap for a reason. Spain’s Public Health care System. The public healthcare system is one of the best in the world and improving year on year. With the fabulous weather and sunshine for most of the year, Spain has become one of the top Healthcare destinations in Europe. With many new Expat residents moving to Spain when they retire, they are of an age where they will need increasing amounts of medical and healthcare cover. If you have pre-exisiting conditions it is advisable to obtain a copy of your full medical records from your local GP or surgery, so that you have the records necessary to provide to your selected doctor in Spain. However, if you propose to use the Spanish Medical system, we would advise a full and legal translation be made so that the local Spanish speaking doctors in the hospitals and clinics, can understand your medical requirements. Trying to explain a medical condition when you are in a critical situation, may prove to be difficult, even with a translator. Organising your EHIC (European Health Insurance Card) before you leave your home country is essential unless you want to pay as you go for any medical treatment in Spain. Private health and Medical insurance in Spain is not expensive by European standards and the standards of treatment are excellent. Permanent healthcare and medical cover in Spain. If you plan to stay permanently in Spain, or are planning to tetire here over the age of 65, you will need to get an E 121 (Now changed to an S1 form) from the Department of work and pensions in the UK or the relative department in other European countries. The E121 or (S1) will deregister you with the UK healthcare system. When you arrive in Spain and apply for your Residencia (a legal document proving that you are a legal resident of Spain) you will also require an NIE (A foreigner’s identity card). With the NIE and other documents such as your Padron (A document that proves where you are actually living and is provided by the town hall and valid for 3 months) you can apply for the Spanish SIP card, provided you qualify under the current system. A SIP medical card registers you with your local doctor and medical services, thereby making you a legal recipient of the Spanish Health and care System. Public Hospitals and healthcare in Spain. Unlike most public hospitals in Europe, the Spanish healthcare system operates in a different way. Your friends and relatives normally meet your own personal care and needs and they can sometimes be permitted stay, sleep and care for you by your bedside. The nurses will take care of your medical needs and the day-to-day care is your responsibility. Another reason to have private medical insurance if you happen to be out here on your own. Emergency Holiday Health and Medical Cover in Spain. Hopefully you will have adequate medical cover with your travel insurance. If not, be prepared to pay handsomely as a private patient. Doctors and hospitals have interpreted the laws differently in different areas of Spain. In most cases they will treat you for any medical emergency if it is not too serious, free of charge, but if you need to be admitted or require extensive treatments, it can be very expensive. Many Expats that have retired or just decided to live in Spain seek private medical insurance and premiums are not nearly as high as one might expect. Like most age related insurances, the older you get, the higher the risk, hence the older you start a private medical or healthcare insurance plan, the more it will cost. Family Healthcare and Medical insurance Plans. Some insurers will cover the whole family as a package, including younger children and relatives. Talk to us, we will advise you on the best packages available. Most are annual policies and can often be paid by monthly or quarterly direct debit. Some companies require annual payments. Cancellation of Private Health and Medical insurance plans. All health insurance plans run from January to December and are renewed on the 1st January every year. Be aware that cancelling a Health policy in Spain requires you to give at least 2-3 months notice. If you do not wish to continue with your policy and you do not notify them in time, they will, and do, take the following years premiums or pursue you in court to collect it. This is where a good Insurance provider like www.insuranceinspain.com can help. We regulate and control all of our Healthcare policies, providing you with updates, upgrades, renewals etc. in a timely and professional manner. Self- Employed and Employee Healthcare in Spain. Being self employed or employed in any job, by any company in Spain, entitles you to medical and healthcare treatment and cover under the Spanish healthcare system. You still have to get all the correct paperwork and obtain your SIP card, but as you and / or your employer has to pay your social security payments, your entitlement is safe. The benefits of Private Medical and Health Insurance in Spain. If you are not working in Spain and you are under the age of 65 you are unlikely to be granted a SIP card for the Spanish healthcare System. Being under 65 years of age does mean that your Private Medical Insurance is an essential consideration. Like many parts of the world today, medical treatment can be very expensive, and we never know when we are going to need it most. Private Medical Insurance in Spain will give you access to some of the best private hospitals and private Doctors in Spain, those that speak your language, and also get you treated quickly. Like the National Health System in the UK, they are all under pressure for one reason or another from lack of money, doctors and space. Care for the elderly, infirm or those with mental issues can be a problem. There are very few Spanish healthcare outreach services, care homes and specialist care centres in Spain. This is one of the major reasons that elderly people with specialist care needs return to the UK in their later years. There are private healthcare specialists, organisations and charities that do their best to help, but it is not covered under the Spanish healthcare system. Health Insurance in Spain with Pre-existing Conditions. Private Medical insurance companies will cover some pre-existing conditions and it is important that when completing the questionnaire on your health that you state truthfully all of your previous conditions. It is not worth the risk of losing you private medical insurance because you ‘forgot’ to mention a pre existing condition. They will check, perhaps not at the start of the policy, but if you show signs of a medical condition, they may contact or discuss this with your previous GP or doctor. Selecting the right Health Insurance policy in Spain. Some of the medical and healthcare companies provide cover for particular regions, so if you live in Alicante and are not likely to be moving to another area, you can select a policy that is particular to that area. If you fall ill in another part of the country and require treatment, they will still cover you, but may only pay 80% of the treatment. This can save you money if you are settled and have no intention of travelling etc. Health Insurance in Spain for short term visits. If you travel extensively during the year, or stay part of the time in the UK and some of the time in Spain, you can obtain a full European medical and healthcare plan that covers you for treatment anywhere in Europe, including the UK. These plans are a bit more expensive, but can be well worth the extra if you get caught out with a medical emergency. Some policies can include such things as Dental and Pregnancy cover. They also provide you with the option to select where you wish your treatment to take place, so you could return to the UK and have your local doctor or surgeon perform your medical treatment. Changing or upgrading your existing Health insurance in Spain. Some private medical insurance policies fix the annual premiums for a number of years, whereby others have a mandatory annual increase to take into account inflation and other factors. It is relatively easy to change medical and health insurance companies provided it is done within the specified period. One will usually have to give at least two months notice and allow time to check that the new Health insurance company will accept any pre-exisiting conditions that you may have stated. Shopping around for a better policy at a better premium is not difficult. If you contact us and provide details of your existing Private Health Insurance policy, we will be happy to try and find you a suitable, less expensive alternative. Even with pre-existing conditions, some private medical insurance companies will accept them and offer you cheaper premiums for your policy. This is a competitive world and they are eager for your business. 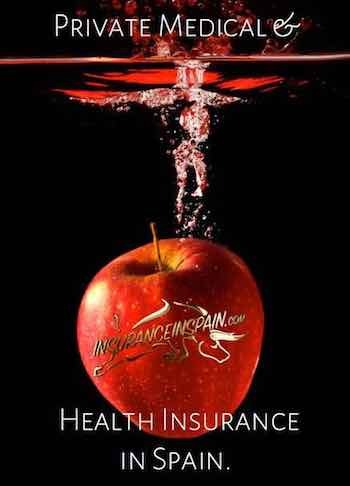 At www.insuranceinspain.com we have the experience and knowledge to assist you with anything relating to health and medical insurance in Spain. We will provide you with unbiased quotations without any obligation. Call us now on 965275727. The Spanish healthcare system is ranked among the best in the world. If you're living and working in Spain you'll likely have access to Spain's free state healthcare, paid partly by social security payments, which will be deducted from your wage. The Spanish healthcare service is regularly rated among the world’s best, guaranteeing universal coverage and no upfront expenditure from patients apart from paying a proportion of prescription charges. Spain spends about 10 percent of its GDP on healthcare, and is ranked 6th in the EU for the number of doctors with around four doctors per 1,000 people. A 2012 World Health Organisation survey showed that Spanish women outlive all other nationalities (living to 85.1 years). Spanish healthcare consists of both private and public healthcare, with some hospitals (hospitales) and healthcare centres (centros de salud) offering both private (privado) and state healthcare services (asistencia sanitaria pública). You don’t need to have private health insurance to get medical treatment in Spain but it usually allows you to get faster treatment for non-emergency procedures. State healthcare is free of charge to anyone living and working in Spain, although in some of the Spanish islands you may have to travel to find a state healthcare provider. If you don’t have the right to state healthcare you have to organise private health insurance cover. How to register for Spain's public health care. First of all, you must register with social security (Dirección General de la Tesorería General de la Seguridad Social or TGSS), which has offices throughout Spain, to get a social security number. You’ll need to show your passport or ID card, residency certificate and a completed application form. You’ll also need to have registered your details (address etc.) at your town hall. Once you have registered with the TGSS you’ll be given a social security number and a certificate stating that you’re entitled to medical help. You then take the certificate, passport and NIE number (foreigner’s identity number) along to your local health centre. You can then register with a doctor and apply for a health card (tarjeta sanitaria individual or TSI). This will be sent to you in the post, or you will be asked to pick it up personally. The health centre will also be able to arrange for you to get a Sistema de Informacion Poblacional or SIP card. You’ll need to show it every time you visit a clinic, hospital or collect a prescription from a pharmacy. If you have an EHIC card issued by an EU-member state and you are in Spain on a holiday or other temporary visit ­– that is, you are not yet a resident in Spain – you can use your EHIC to access state healthcare in Spain. You can also use it if you are studying in Spain as part of a course based in your home country. It is advisable not to totally rely on the EHIC and to take out medical insurance. There have been cases where an EHIC has been refused in some parts of Spain. This is being investigated by the European Commission but if it happens to you, try to get proof that you presented it at the time as it may persuade an insurer to waive their excess. Spain has bi-lateral agreements with some countries, such as Andorra, Brazil, Chile, Ecuador and Peru that allow citizens from these countries visiting Spain for short periods of time to obtain free emergency medical treatment. Everyone else needs to take out private health insurance. Going to the doctor in Spain. In Spain, you get primary heath care through a health centre (centro de salud or centro de asistencia primaria or CAP), or a general doctor (médico de cabecera). Before you can see a doctor, you’ll need to register. The health centre will probably have around six doctors and you may not see the same one each time you visit, although in some centres you can book to see the same doctor, particuarly if you are in ongoing treatment. Find a doctor with his or her own practice through the phone book or by personal recommendation. When visiting a National Health Medical Center or Hospital, if you do not speak Spanish it may be wise to take a translator with you. Some hospitals may have English speaking staff and you can, if there is one available, request a translator that may be resident or work within the hospital complex. Doctors may offer both private and state healthcare; make sure you are clear which type of healthcare you want. There may be separate surgery times for private and state patients. As a private patient, you will be required to pay for the service and will have to visit the doctor at his own private surgery. You should be given a leaflet called Carta de Derechos y Deberes (Charter of Rights and Obligations) that sets out your rights as a patient. You usually make an appointment to see a doctor at a health centre for care under the Spanish national health system, although doctors with an individual practice may offer a first-come-first-served basis. You have the right to be accompanied by a friend or relative during consultations. You can change doctors easily, just by re-registering. Going to see a specialist. If you want to be seen by a medical specialist in Spain you’ll need to be referred by a family doctor. If you have private health insurance you’ll be able to see a specialist much faster than going through the public system. There are a large number of private hospitals and making an appointment can often be done online, once you have downloaded their app or website details. In an emergency you can go straight to a hospital A&E or ER (Urgencias). If you want to get any other type of hospital treatment you’ll need a referral from a doctor. There are public and private hospitals. Only the public hospitals provide free treatment. Some hospitals offer both private (privado) and state healthcare services (asistencia sanitaria pública), so make sure the staff knows which service you want. When you go to hospital you’ll need to show your social security card or proof of private insurance. If you are discharged from a hospital and need medication you have to take the hospital medical report to a pharmacy for the prescription to be fulfilled. You can take a prescription to any pharmacy (farmacia). Look for a shop with a large green cross sign outside. Many speak English and can provide most kinds of medication and will often advise you on what treatments you may need for minor ailments so that you do not necessarily need to see a doctor. You have to pay a percentage of the cost of prescription medicines, and the cost is non-refundable. How much you pay depends on your income and whether you are of working age or a state pensioner. For example, if you are of working age and your annual income is less than 18,000€ you have to pay 40 percent of the cost of the medication. If your income is between 18,000€ and 100,000€ you pay 50 percent, and if it’s over 100,000€ then you pay 60 percent. State pensioners pay 10 percent unless their income is over 100,000€, in which case they also pay 60 percent. Dental treatment is not covered by the state healthcare system unless in an emergency. You must either pay for dental treatment unless you have private health insurance. Find a dentist by looking in the phone book or by personal recommendation. Just call up and make an appointment. 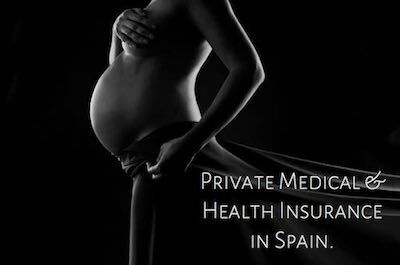 The standard of care for pregnant women in Spain is highly regarded in both the private and public sectors. The degree of medical contact is reasonably high, with an initial appointment with a doctor or midwife (comadrona/llevadora) to confirm the pregnancy, antenatal appointments and hospital scans. Most births take place in a hospital although home births are becoming increasingly popular. A word of warning: if you wish to give birth at a private clinic, it’s advisable to take out medical insurance well ahead of getting pregnant otherwise it might be hard to find an insurer. If you have read all of the above about Spanish healthcare and medicalcare you may be somewhat daunted at the prospect of finding a suitable private medical Insurance in Spain for you and your family. Don´t be alarmed www.insuranceinspain.com are here to help you find the most suitable cover for your age and for any pre-exisiting medical conditions that you might be concerned about. Some companies will accept a variety of conditions dependant upon your age and general health. This it is why it is best to contact us in the first instant so that we can discuss this matter in private and advise you on the best way forward. There is absolutely no obligation for you to purchase any healthcare or medical insurance from us us as we are more than happy to help you to find the right product at the right price rather than you purchase a product, that when you come to use it, does not suit your needs. Call us on 0034 965275727 for a no obligation quote for Private Health Insurance in Spain.